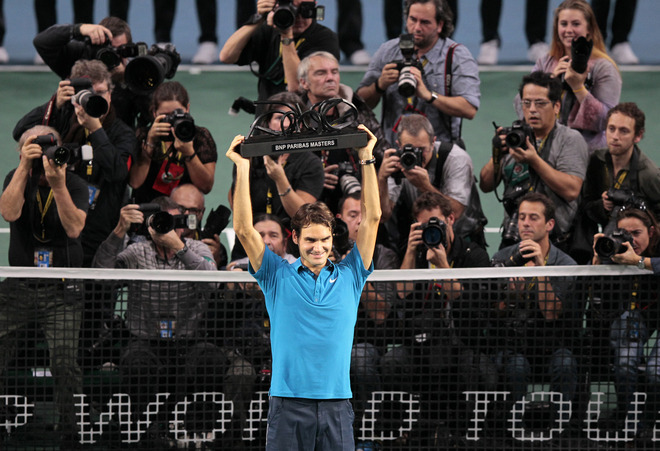 Federer made history again Sunday, and again in Paris. Today the Swiss maestro won his first title at the Paris Masters 1000, putting on a show of sheer brilliance in outclassing Frenchman, Jo-Wilfried Tsonga, 6-1 7-6 (3). In typical quick fashion, Federer stormed out to a 5-0 lead in the first set. He converted on his third match point, first on his serve, to clinch his 18th Masters 1000 and 69th career title in 1 hour 26 minutes. The serve was dominant once again. 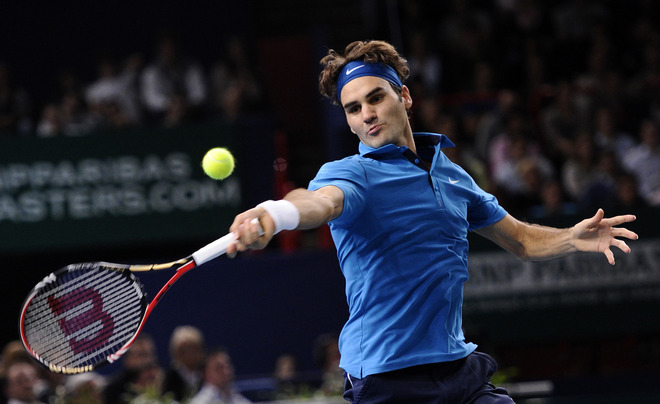 Federer served 4 aces but won 88% of the points on his first serve, and saved all four break points faced. He converted 2 of 5 break point chances in the first set which he finished easily in just 30 minutes. The time Federer took this week (and has made habit of) to win a set and match is remarkable considering that it has come against formidable opponents such as Gasquet, Berdych, and now Tsonga. 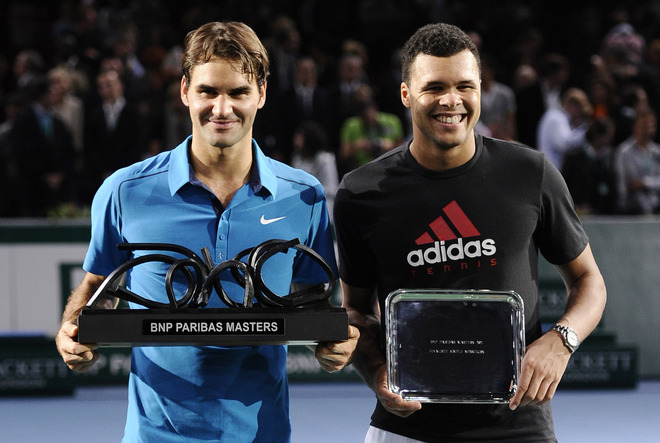 Federer became the 4th player to win the Paris Masters 1000 without dropping a set. 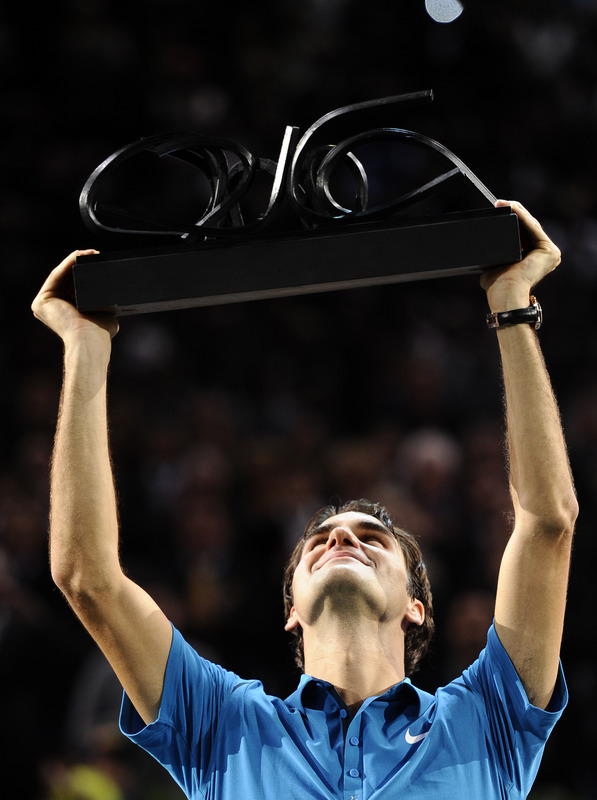 Also, he is the second player (Agassi) to win both titles in Paris (Roland Garros, Paris Masters 1000). He now takes a 12 match winning streak into the final event of the year (reserved for the top 8 players), the Barclays World Tour Finals in London. Joining Federer in London will be Novak Djokovic, Rafael Nadal, Andy Murray, David Ferrer, Jo-Wilfried Tsonga, Tomas Berdych, and Mardy Fish.